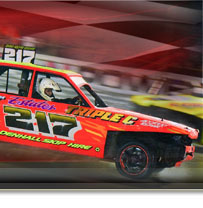 Mildenhall Stadium is situated in Hayland Drove, Mildenhall, post code IP28 8QU. The track is a shale oval with armco and steel cable fence. The pits are located outside of the stadium alongside the turnsiles and car park. 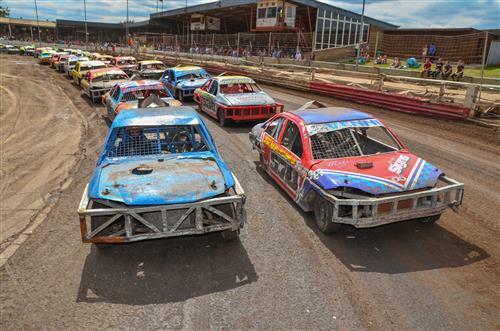 Stock Car Racing takes place on Saturday evenings and the Mildenhall Fen Tigers Speedway take to the shale on Sunday afternoons. For full fixtures please check the Race Dates below. There is a free car park and we advise that spectators arrive at least an hour before the meeting starts. We do have a disabled car park area, again space is limited so are allocated on a first come first served basis. Tickets for our events can be purchased at the turnstiles on the day of the event using either cash or card methods of payment. Doors open around an hour before start time. The advertised start time is the time of the first race. Don't forget to visit our famous fish and chip shop on site within the stadium for top notch food!